The Diva mei tais with a bamboo/cotton blend are medium-thin, extremely soft right out of the box, shiny like silk. 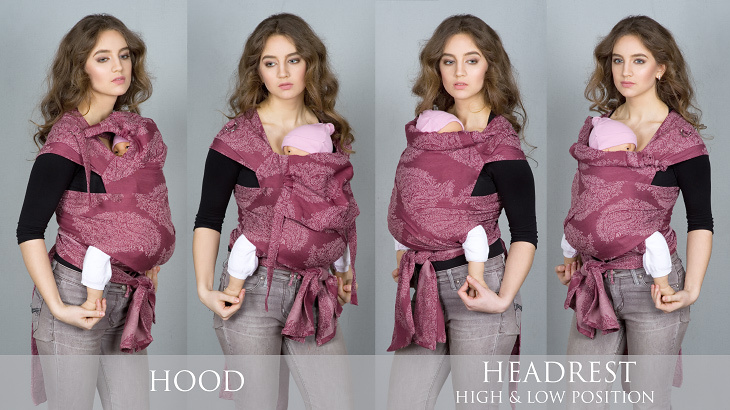 This is a great choice for newborns up to about a year (Surface weight is 210g/m²). The Diva (Original) Mei Tai can be used from birth due to adjustable base and wide straps, so that you can insure correct legs position and good back support for a baby. It is produced from special woven wrap fabric.